Scott Disick might not be keeping up with the Kardashians as much these days, but he’s keeping up with the rappers he hangs out with, and the proof is hanging around his neck. 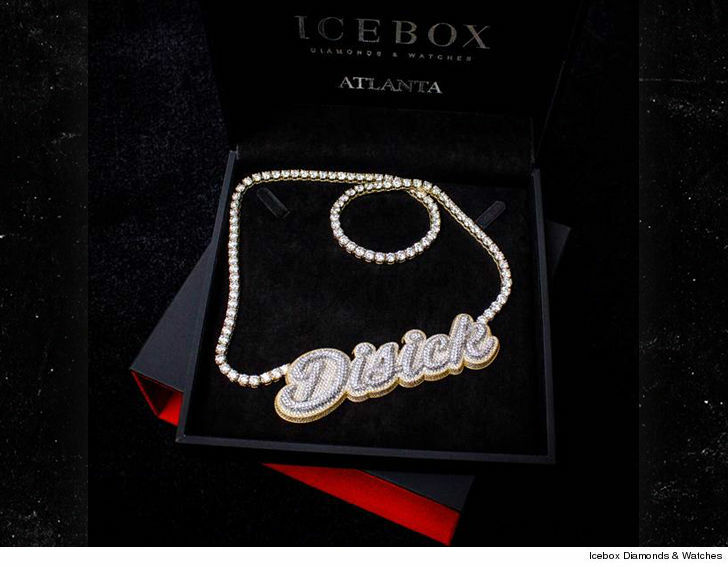 The bling spells out “Disick” in bubble letters with 2,291 diamonds, weighing in at 33.87 carats. We’re told lord D dropped $80k on the pendant alone, and another $170k on the white and yellow gold chain … which has 66.56 carats of ice! Scott hangs with rappers like Quavo and Future, and we’re told they inspired him to link up with Icebox Diamonds & Watches in Atlanta to get his own custom piece. We’re told Scott was thrilled with the final product. He better be after spending quarter of a mil!